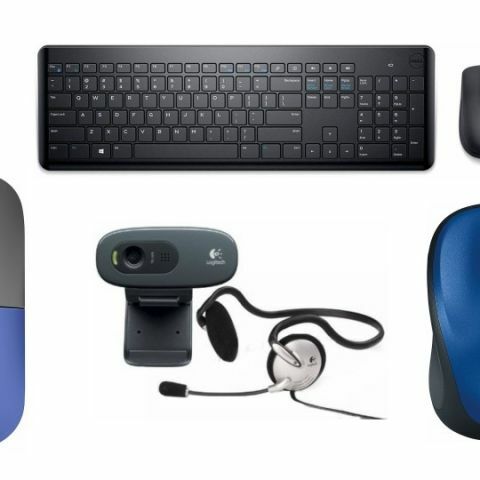 Today, we have found some interesting deals on computer accessories such as keyboards, mice, webcams and more. The products in this list below are from brands like HP, Logitech, and more. The Paytm Mall is offering a considerable amount of cashback on products like mice, Keyboards, webcams and more. The deals are on brands like HP, Logitech, iBall, and more. The Logitech M235 Wireless Optical Mouse features a 2.4GHz interface. The mouse connects to your pc via a nano receiver, which goes into your PCs USB port. The device works up to a distance of 10m from a connected device. Click here to buy. Best computer accessories deals on Paytm Mall: Discounts on keyboards, gamepads, and more. The HP X3500 Wireless Optical Mouse frees you from the hassle of wires. The device features a 2.3GHz wireless connectivity and comes with an adjustable optical sensor, which works on most surfaces. As per the company, the mouse has a battery life of 12 months, which means one does not need to worry about changing the battery for at least a year. Click here to buy. If you’re on the lookout for a web camera for video calling then this device might interest you. The Logitech HD webcam comes with a built-in microphone that also reduces background noise. With this webcam, you’ll get HD 720P video calling option on major instant messaging applications. It also comes with an on-ear headset to use during video calls or to listen to music or more. Click here to buy. The Zebronics Dash Wireless Mouse comes with an advanced optical sensor, which allows the device to work on almost any surface. The mouse comes with a nano receiver and features a 2.4GHz wireless connectivity. The device is also equipped with a smart energy saving technology. Click here to buy. The Dell KM117 Wireless Keyboard and Mouse set is compatible with Windows systems only. The device connects to your PC via a nano receiver and features a 2.3GHz interface. Click here to buy. The HP Z3700 Wireless Mouse comes with a blue LED technology, which the company claims to allow the mouse to works on a wide range of surfaces. The device features a 2.4GHz wireless connectivity and offers a battery life of 16 months on a single AA battery. Click here to buy. I cannot use TOR on my college computer? I need a review on HP pavilion 15 BC-021TX? ?